No matter what your skincare routine is, it is important to choose the best products that will help your skin shine in any light. 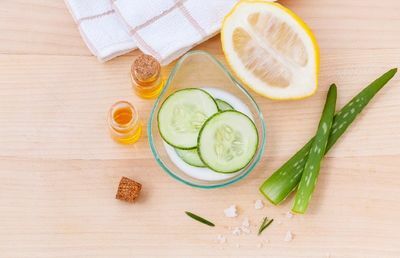 Whether you choose to indulge in the full kit of a moisturiser, toner and cleanser, or a simple organic skin care routine of skin creams, the skin trends of 2019 will be sure to give your old routine a boost, thus this list will help you find some useful trends that will benefit your skin and give it back its healthy glow. Serums are the secret weapon of any beauty guru in relation to their 2019 beauty regimes. With top brands like Tropic Skincare investing in serums, they can be fantastic in regards to their natural moisturising abilities, especially if they use natural fruits and rose water in their recipes. Serums are made up of smaller molecules that can penetrate deeply into the skin to deliver a large concentration of their ingredients, especially if they have a high Vitamin C quantity to their recipe. This means that wrinkles, acne and inflamed skins are targeted and smoothed out. Some serums can even be used as face masks or peels that can be used over-night. It will be 2019’s ultimate means to relax yourself after a stressful day at work. Why not add a little science to your skin routine in 2019? Based on the healing properties of Cryogenic Therapy, Kate Somerville’s Tight’N Cryogenic Tightening Gel, is a cold gel which is full of glycoproteins from Antarctica, micro-algae and even peony extract in order to improve your skin’s elasticity and natural sheen. When applied to the neck, forehead and face you will feel it begin to crackle on your face before it is absorbed into the skin. This should be used as the final step in your skin routine so it can remain moisturised before bed. As 2019 approaches, instead of hoping that your Christmas stocking is filled with fun gifts, you may need to be a little naughty to ensure that it’s filled with coal. Activated Coal products come with fantastic health benefits. It can even be used for ensuring your teeth remain pearly white in toothpaste, as well as rejuvenating your skin. According to Dr. Joshua Zeichner, Director of Cosmetic and Clinical Research at the Mt. Sinai Medical Centre, coal resin has been used in dermatological treatments for over 2,000 years. It is a trusted tool throughout history, so why not indulge in some coal-based gels or face masks to start you off. Facial Masks have been an integral part of any skin care routine, and should be kept that way once we enter into 2019. However, if you are worried about the chemicals of any potential mask. Why not indulge in a Dead Sea Mud Mask? The salt from the dead sea is fantastic for a deep clean of any pores or impurities in the skin, meaning less breakouts.